Syria's Assad says crackdown has "stopped"
After an estimated 1,800 protester deaths, Syrian President Bashar Assad told U.N. Secretary-General Ban Ki-moon on Wednesday that military and police operations against protesters had stopped, several news outlets are reporting. In a phone call between the two leaders, Ban had reportedly been pressing Assad on "continued widespread violations of human rights and excessive use of force by Syrian security forces against civilians" when Assad made the claim, BBC reports. "The Secretary-General emphasized that all military operations and mass arrests must cease immediately. President Assad said that the military and police operations had stopped," a U.N. statement said. The alleged statement by Assad appears to be a flip-flop of sorts, as earlier Wednesday, Assad had lashed out at the growing international reproach against him, saying his country will not give up its "dignity and sovereignty." Much of the growing international condemnation centers around Syria's four-day siege in the port city of Latakia, where shelling by tanks and gunboats on unarmed civilians has killed scores. In one widely reported instance there, a Palestinian refugee camp had come under fire, forcing hundreds to flee. Authorities have arrested so many people there, that detention centers have been set up in the city's main football stadium and a movie theater. 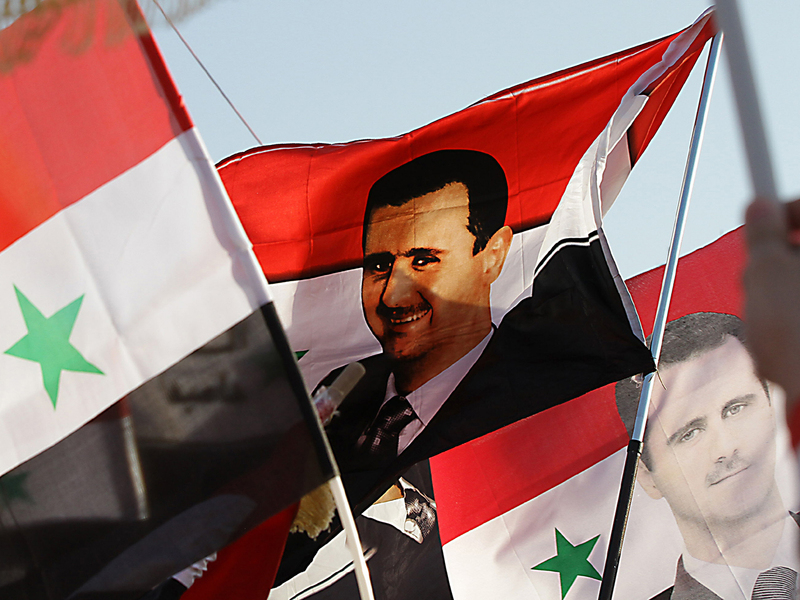 The prime minister of Syria's one-time crucial regional ally, Turkey, had compared Assad to Libya's Muammar Qaddafi. Since the beginning of the five-month-old uprising and resulting violent crackdown, Assad has insisted he was fighting "armed gangs," or some derivative thereof, and not a popular uprising against his dictatorial rule. Whether the U.N.'s Ban was more successful than Turkey's Erdogan at getting Assad to listen will be proven in the coming days.